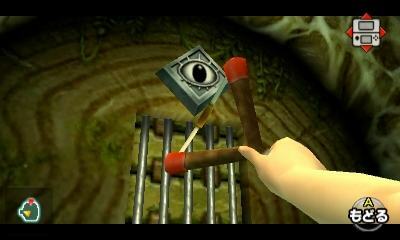 Ocarina of Time 3D Gyroscope Controls: Hit or Miss? I’m sure most of you who have been following the site have already checked out Ocarina of Time 3D by now, so what did you think about the new addition of gyroscope control? This mostly amazing new feature allows you to move the 3DS system itself to aim your bow, slingshot, and other weapons. Was it easy to utilize? Did it help you defeat some of your worst enemies or hit those targets in Gerudo Training Grounds, or did you find yourself finding it impossible to move the system right for a lot of issues? Moving the system too far made it impossible to see, and if you’re playing sitting down the gyroscope controls can be less-than-desirable. From my own experience with the new controls, I feel that there can be some time to adjust to them, and that isn’t the bad part. The thing that always gets me about these controls is that they are unreliable in many situations. Turning at just a little too much of an angle to fire your slingshot renders seeing the actual image on the screen impossible. The manual tells you to move your body with the system, but is that really so easy to do? I found myself using the control stick to aim a lot more than the new controls. What was your take on these unique new controls presented to us in Ocarina of Time 3D? Did they help you with some of the challenges that crossed your path, or did you find them useless in most situations and ended up going right back to the traditional controls like some people?